You can see outside that the spring is slowly coming. With spring not only nature comes to life but also department of human resources or team leaders are looking for some nice team building options for their workers. In regard to logistics, it was arranged at the highest level. Our pilot Szymon greeted the group at the reception desk at agreed time. The second pilot Marek was already on the track to see if everything was prepared. Marek was also responsible for making the photo-relation of the event. The group was picked up from the hotel by a coach called a “bee” because of its colours. 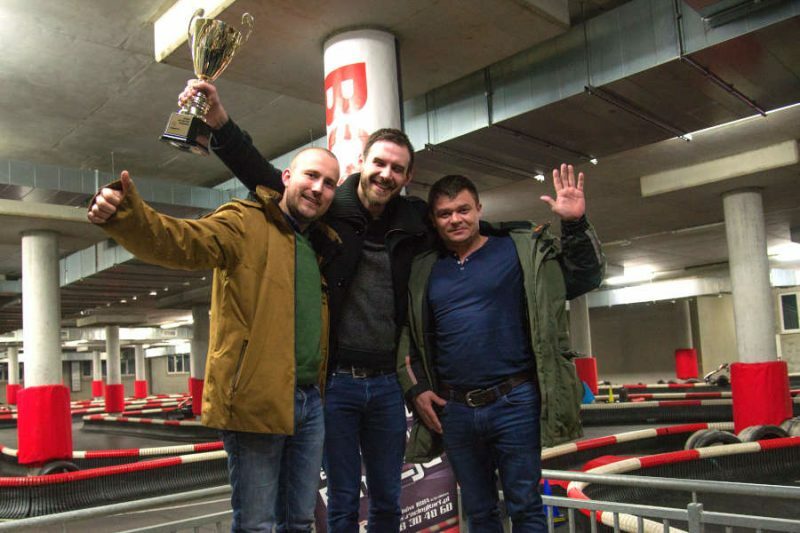 A driver who knows Krakow like the back of his hand managed to avoid traffic jams very easily and the group appeared on time on the go-kart track. Meanwhile Szymon presented to the group the safety rules and meaning of the flags used on the track, e.g the checkered black and white flag indicating the end of the race. Along the good entertainment, good food is important too. During the tournament, the participants could use the specially prepared catering for them like snacks, coffee, doughnuts, cakes, tea or many types of juice. We also booked the tables in the restaurant in the city centre. After the go-karting we took the group there, we arrange door-to-door transfer. We love to organise events comprehensively: the activity, the transportation, the catering. It gives us a lot of fun! Therefore, if you are part of the HR department in your company, please contact us to get our offer. We are sure that it will be a win-win business.